Listen to the rock ‘n’ roll music from the 50’s and 60’s by Honey B and The Stingers. – Thursday 18 October, afternoon tea takes place at 2pm with the performance commencing at 2:30pm located at the Cardinia Cultural centre. Admission fee is $12 per person. Lifeline Gippsland is asking the entire Gippsland Community to come enjoy and help turn their two day book fair into another huge fundraising success. The Book Fair will be held over Thursday 18 and Friday 19 October 2018 at the Morwell Shop and Warehouse, commencing at 9.00am. For further information regarding the book fair please call the office on 5136 3500. On Saturday October 20, 2018, PETstock Pakenham will provide a $10 microchipping service to ensure local pets can be easily identified if they become lost. Times for each store detailed at petstock.com.au. Cost: $10 per pet (by appointment only) Visit petstock.com.au to make a booking. Cardinia Gujarati is hosting Navratri 2018. They are a community organisation based in South east Melbourne formed to connect Gujarati Community for Indian events and festivals. – Saturday 20 October, Pakenham Library Hall, Cnr John St & Henry St, Pakenham. 6pm – 11pm. 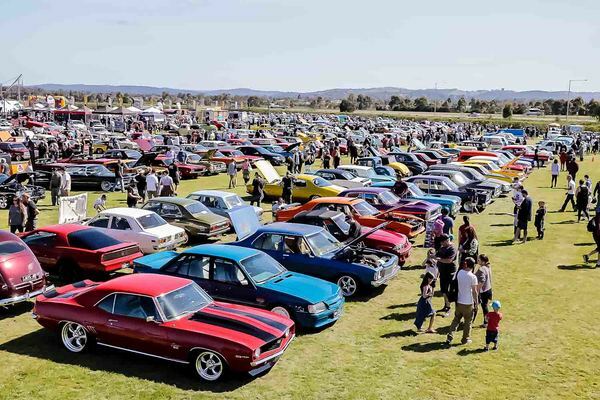 Car Megamart presents the second annual MEGA Car Show and Family Fun Day for a free day featuring Melbourne Old School Cruisers, Sunday 21 October 2017. Bring your old school ride and be part of the Melbourne Old School display. For those who don’t have an old school ride, please join us for a fun family day. Doors open to the public at 10am with FREE show bags for the first 200 through the doors! This Family fun day also includes: free family activities including bungee trampolines, a rock climbing wall, jumping castle, face painter and more! There will be food trucks, live entertainment, industry vendors and market stalls. This event is proudly supporting the RSL Young Veterans Association, and donations are welcome on the day. If you have any queries about the event or bringing your car along, please email info@melbourneoldschoolcruisers.com.au. If you are interested in having a market stall at this event, please contact Redsteps at hello@redsteps.com.au. The Food Truck Festival™ is teaming up with Pakenham Racing Club to bring you Pakenham Picnic 2018. The food trucks will be rolling into Pakenham Picnic from 19 – 21 October at Racing.com Park with craft beers, wines and market stalls. Join us for great food, fun and sunshine. Friday 4:00pm – 10:00pm, Saturday 12:00am – 10:00pm, Sunday 11:00am – 8:00pm. This Sunday afternoon The Pakenham Community Garden group will be building the vermin-proof compost bay system. Come down to learn more about it, and lend a hand- The plan is to start and finish the compost bays in the one afternoon. Snacks and dinner will be provided to volunteers, and we’ll take a photo during the build and afterwards to capture the experience. 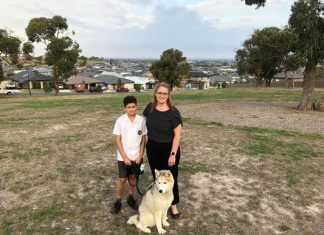 – Pakenham Community Garden, 6 b Henry St, Pakenham. 2pm – 6pm.